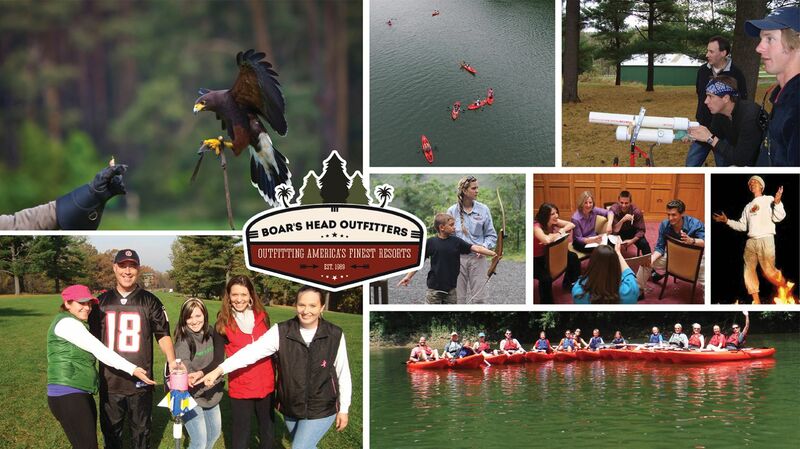 Designed for families, corporate groups or just a couple friends looking to get out and explore our 600-acre property, Boar's Head Outfitters has an activity that's fun for all. Whether it be an on-site scavenger hunt guided by a custom cell phone app or a guided paddling clinic on one of our nearby rivers or lakes, there's excitement to be had and memories to be captured! At Boar’s Head Resort, we believe in learning by doing. 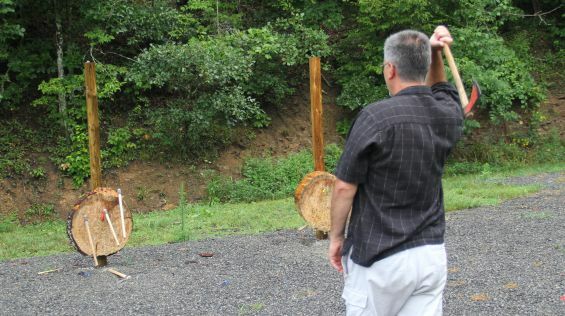 Take a group of people with varied interests, skills and backgrounds, put them together in an outdoor setting, present them with a challenging situation, and watch the learning and fun begin. All of our adventure learning activities are geared at creating experiences from which people can learn team-based skills that can be implemented in real-world atmospheres. 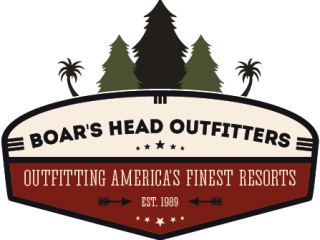 Founded on the principle that “the company that laughs together lasts”, Boar’s Head Outfitters is here to bring your meeting to life, revitalize existing teams, and help you take your group members to new heights. We’ve built a reputation by creating innovative team-building programs that develop a strong and productive atmosphere. From the moment of first contact, Boar’s Head Outfitters works with you as a partner. The content, flow and details of your experience will be custom designed, based on your stated goals and desired outcomes. Our creative process is an interactive one. Once we’ve designed a custom program, we look to all parties involved for input and ideas. This winning formula, will help you and your team achieve a memorable experience that you'll be sharing for years to come. Boar's Head Outfitters - Explore. Play. Renew.